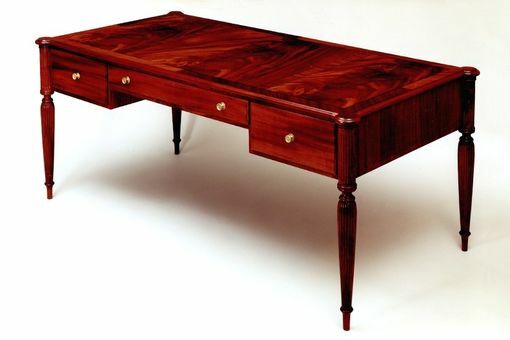 A traditional style writing desk in mahogany and mahogany veneer. The legs are turned and reeded. Drawers are dovetailed. All veneered surfaces are solid wood lumber core.